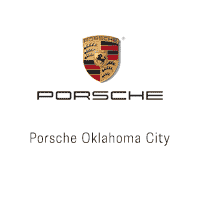 Our Porsche Oklahoma City website features a financing pre-approval application that is simple and straightforward. The application should only take a couple of minutes to complete, and it allows prospective car buyers to apply for their preferred vehicle in our inventory. The results should be processed and returned to you in a minute or less. This application allows our customers to take control of the financing process by choosing when and how the process starts. When you’ve received the results from your pre-approval application, drop by our Porsche finance center today to take the next step in the financing process. Another helpful feature on our website is our trade-in estimation tool. If you’re planning to trade in your current vehicle toward one of the models in our inventory, you can get an estimate of how much this trade-in will be worth. This will help you prepare to come into our Oklahoma City location and finance a quality new, Certified Pre-Owned, or pre-owned vehicle. When you do come in, our technicians will inspect your vehicle and make a finalized trade-in offer for your consideration. Bring your trade-in vehicle to the Porsche Oklahoma City car dealership today and get your final offer. All of the beautiful vehicles in our Porsche Oklahoma City inventory can be obtained with a car loan. This contrasts with a car lease which is only an option on new Porsche models. Not only is a car loan more versatile, but you will own the vehicle outright when the loan terms are over. This is not the case with a car lease. Meet with the well-informed finance associates at our Oklahoma City car dealership today to learn more about the car loan choices available to you. Many drivers in Oklahoma City and beyond and enticed by the prospect of a car lease due to the lower monthly payments. The exact numbers vary based on a number of factors. However, the general rule is that the payments for a car lease will be about 25% cheaper than the payments for a car loan on the same vehicle. Also, a car lease is usually shorter than a car loan, which allows drivers to experience a new Porsche model sooner. Come into the auto finance center at our Porsche dealership in Oklahoma City today to evaluate the possibility of leasing a Porsche vehicle. Drivers in the Oklahoma City area can come into the finance center at our dealership in Oklahoma City to learn more about their car lease and car loan options. You can simply come in during our business hours if you happen to have some time on your hands. Many of our customers instead prefer to schedule an appointment through our website to ensure that their time at our Oklahoma City car dealership fits perfectly into their schedule. When you visit our auto finance center, our highly experienced and friendly employees will help you with any financing questions you may have such as whether a car lease or a car loan is better for your situation. We look forward to helping your automotive dreams come true today at Porsche Oklahoma City.